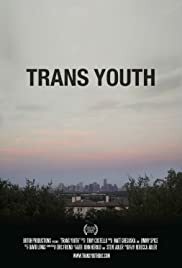 This intimate documentary filmed over three years centers on five trans young adults navigating the exhilaration and disappointment of growing older in the southern city of Austin, Texas. Filmed over three years in Austin, Texas, this film follows seven trans young adults as they navigate family judgment and relationships, find their voices in DIY punk bands, fall in love, navigate the unknowns of hormone therapy and move through the transitions of top surgery. They do this all with courage, self-awareness and humor, speaking honestly and directly about their lives. Articulate, self-aware and unafraid to voice provocative beliefs, they present a deeply compelling view into the lives of today's trans millennials.